Sometimes, some things are more fun or better when done at home. Like watching a movie, for instance. You don’t have to worry about being seated next to a jerk or phone hogs who keep using their phones in the dark. At home, you can stretch out, relax, and have unlimited popcorn without burning a hole in your pocket while watching the best flicks and movie favorites with your best buds. You don’t even need to have a top-of-the-line projector. 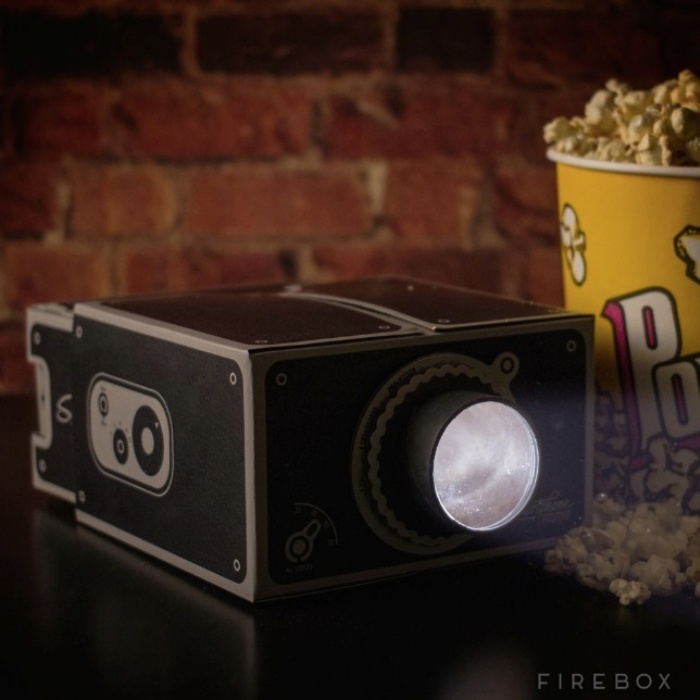 All you’ll need is this £15.99 (about $27) cardboard projector and your smartphone, and you’re good to go. If you’ve run out of movies to watch, you also have the option to stream the latest viral clips from YouTube, home videos, or whatever else you want. 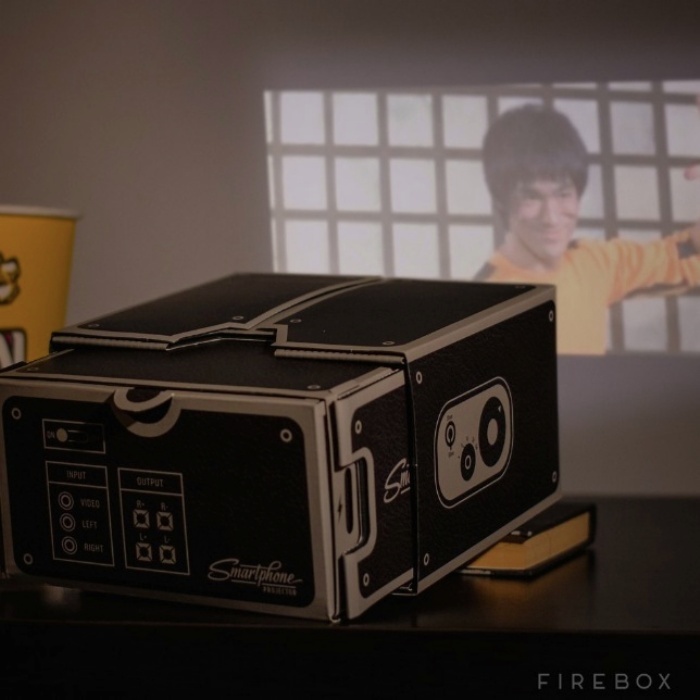 The projector is made from rugged cardboard which is fitted with a high-quality 8x-magnification glass lens. It’s available for pre-order from Firebox. 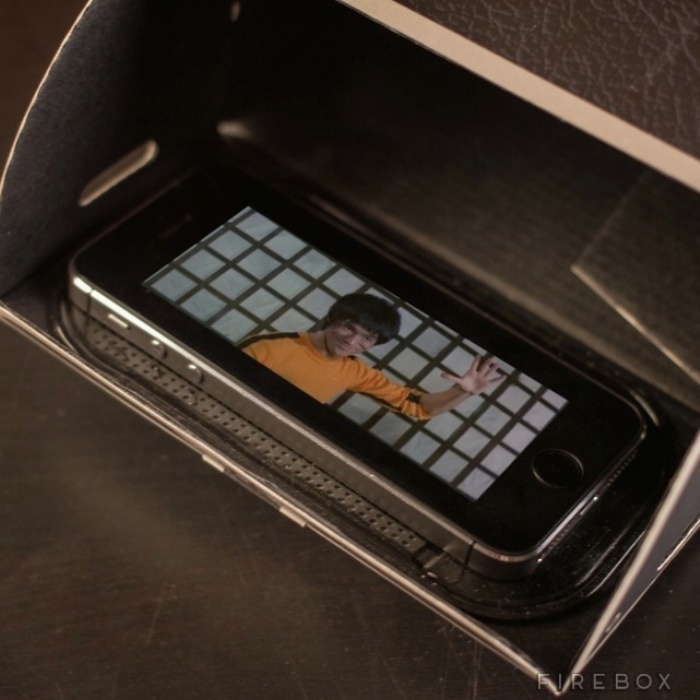 The post Theater In Your Pocket: Cardboard Smartphone Projector appeared first on OhGizmo!.